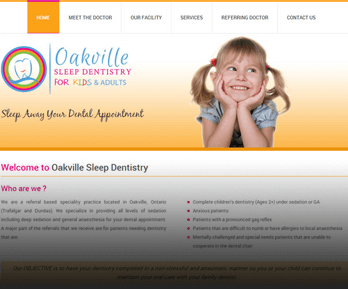 Oakville Sleep Dentistry - Illusive Design Inc.
Oakville Sleep Dentistry is a referral-based specialty practice located in Oakville, Ontario. They specialize in providing all levels of sedation including deep sedation and general anesthesia for your dental appointment. Inner pages with content and picture gallery.